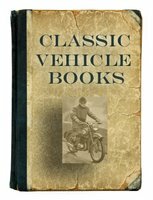 Douglas motorcycle books cover the complete history of Douglas motorcycles, plus some Dragonfly manuals. Douglas was a British motorcycle manufacturer from 19071957 based in Kingswood, Bristol, owned by the Douglas family, and especially known for its horizontally opposed twin cylinder engined bikes and as manufacturers of speedway machines. Douglas, World Motor Cycles by Peter Carrick (1982) is the story of Douglas told in a lively and readable fashion and accompanied by a wealth of fascinating photographs.